Celebrate your unique family and strengthen the ties that bind on a Bluegreen Vacations getaway where comfortable, spacious accommodations and family-fun activities help make for a lifetime of shared memories. Time and distance may pull at family bonds, but Bluegreen resorts offer a nurturing space where the heart and soul of your family traditions can come alive. Enjoy kitchens to prepare full breakfasts, living rooms to tell family tales, and roomy sleeping quarters to rest before a big day of exploring. Read about these owners committed to regular reunions at Bluegreen resorts where it’s easy to make the memories they love to keep. Hike the Smoky Mountains and you might spot Kari and Ross Jordan trekking the trails with their two boys. 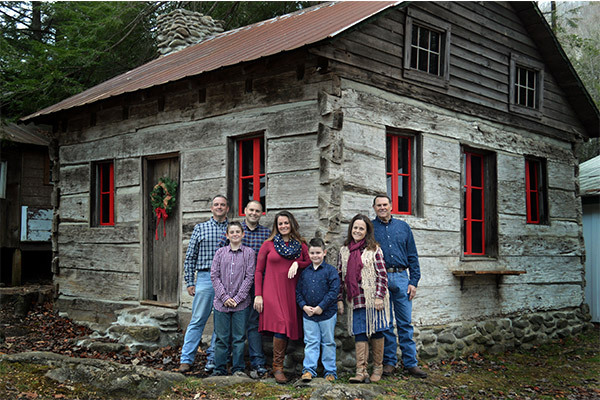 For this family, Bluegreen’s MountainLoft™ in Gatlinburg is home to an outdoor wonderland they enjoy returning to each year. And it’s one they’re delighted to have shared with Kari’s parents and brother Brandon. Just last year after a long and stressful summer of surviving Stage 4 lymphoma, Brandon was well enough to join his family for a special celebratory getaway to Gatlinburg. “I am thrilled to share Bluegreen with him on Thanksgiving week and for a birthday he wasn’t supposed to see,” shared Kari. Kari is a blogger who enjoys helping families stretch their vacation dollar, and she follows her own advice. Her family saves money by taking advantage of Bluegreen’s benefits. “We love staying at resorts we’d never be able to afford otherwise,” says Kari. Creating the blog is often a family project. Evan and Noah, the Jordans’ two sons, get involved by researching attractions or activities for trips, while husband Ross’ technical skills keep the blog up and running. Important to their travel budget goals, the Jordans save money by making use of resort amenities. MountainLoft’s balconies are their favorite spot to sip mugs of morning coffee while admiring mountain views. And the villa’s full kitchen means they can fuel up for the day with full breakfasts and prepare picnic lunches for strenuous hikes. Vacations are where and when the Jordan family connects. Ross often works long days of up to 16 hours. The getaways are their best opportunity to come together for an uninterrupted week of adventure and relaxation. As for Brandon, the Jordans look forward to sharing many more family memories with him; Kari says Brandon is doing well and has returned to work after getting the “all clear”. Fantastic news! Brian Minser and Dan Roe, busy men with growing families of their own, have been best friends since kindergarten. And now they share Bluegreen Vacations memories through their decision to create a joint ownership. Brian and Dan not only continue to grow their bond but extend it to their wives Amanda and Arriel, and their four children—two each! 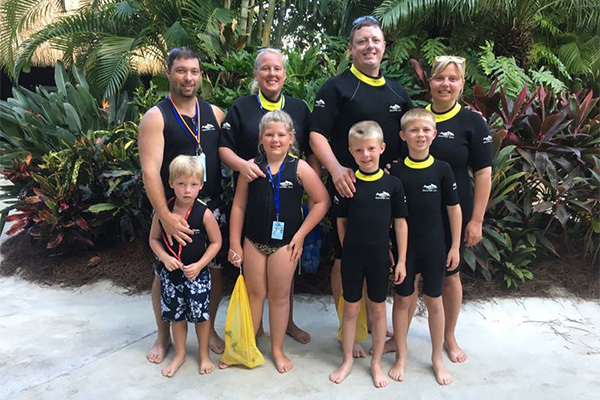 The Minsers say they love to get away from the hustle and bustle of their busy lives and enjoy sun and sand or tubing with the kids. A few resorts the families enjoy together include Orlando’s Sunshine Resort™, Wisconsin’s Christmas Mountain Village™, and Bluegreen at TradeWinds in St. Pete Beach, Florida. Amanda says the kids love the getaways. “They get to bond with each other, but so do the adults! Sign in to your account to book your next family bonding vacation today!